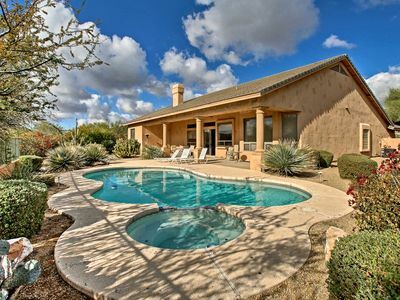 ADORABLE GARDEN CABIN HEATED POOL, SPA, POOL TABLE And PUTTING GREEN!!! Thank you for viewing our home! 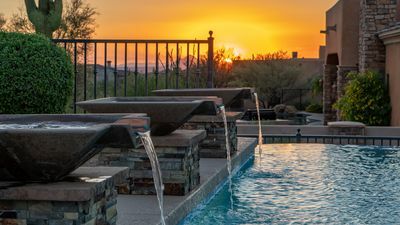 Parsons Villas is a family run management company and was recently awarded the 2018 #1 Luxury Vacation Rental company in Scottsdale (AZ Foothills Magazine). We own several of our homes and are personally invested in every handpicked villa we manage. With over 500, 5-star reviews, we mandate the highest quality standards. 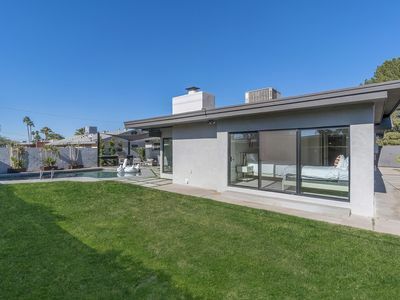 All homes include: concierge services, heated pools/spas, putting greens, and more. 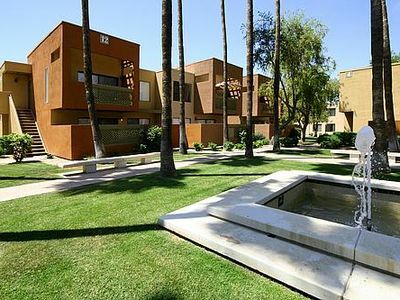 All of our homes are in premier locations and passionately designed. 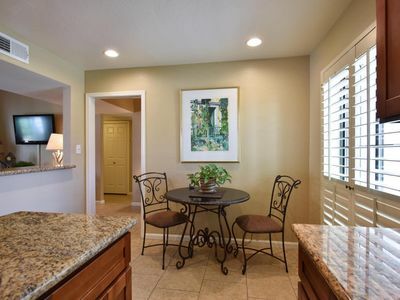 Many of our homes are completely renovated with all brand-new furnishings and linens. 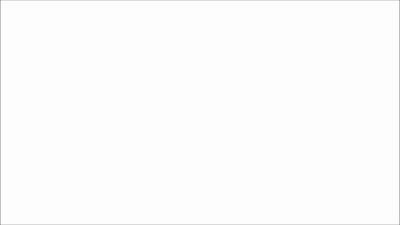 In fact, all linens are changed out annually. We run our homes like a Four Seasons Hotel! 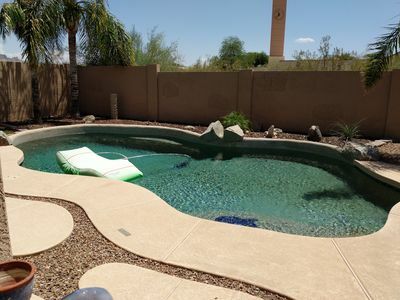 We are here to help make your vacation special and will help plan your trip helping you book your outdoor adventures or getting you the reservation to the best restaurants in town. Welcome to the Parsons Villas family! If you are looking, for peace, love nature and actually being able to see the stars at night you will love this property. That said, guests are shocked at the location as It FEELS like we are in the middle of nowhere, but we are so close to anything one would need or want to do. You can hop on a bike and within a mile directly access one of the gateway trail heads to the McDowell Mountain Sonoran Preserve with over 185 miles of trails for all uses. We are exactly 1 mile in each direction from the main Scottsdale access roads literally making us minutes from the best restaurants, shopping, hiking, horseback riding, GOLF!! and entertainment. 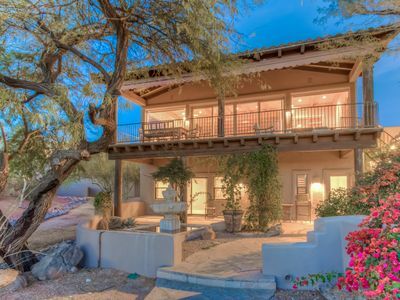 A beautiful cabin surrounded by a luscious desert landscape – ALL FOR YOU TO EXPLORE AND ENJOY. 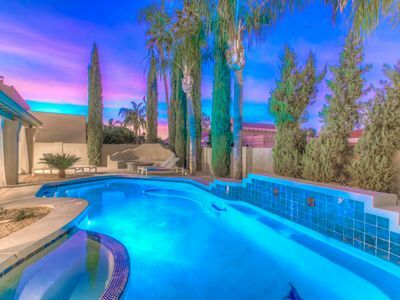 Whether it is a family reunion, romantic getaway, friends trip, or merely play hooky from a conference, this desert estate if for you. 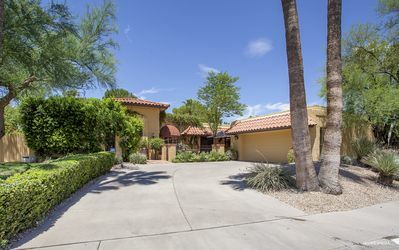 The estate is set in an exceptional location, just minutes away from hiking, mountain biking, horseback riding, fabulous restaurants, shopping and some of the very best golf courses in the nation! The moment you drive onto the gravel driveway, the home feels like it could be miles away from the nearest city. The Cabin is uniquely furnished, giving the home its character. Adding to the character, the cabin has a beautiful smell of fresh cut cedar. The Cabin is surrounded by old growth plantings, mountains, ancient saguaro cactus, and legendary sunsets. 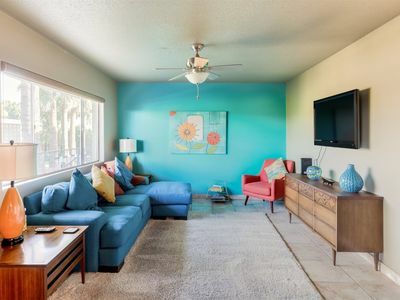 We spare no detail to any vacationers needs in our homes. Please feel free to ask as no request is unreasonable for our travelers. We can book dinner reservations, get tickets to hottest live shows or sporting events, and even book a private chef! * Often times there are last minute specials and reduction in price due to changes in availability and the calendar. Don't miss out on these opportunities by not inquiring. 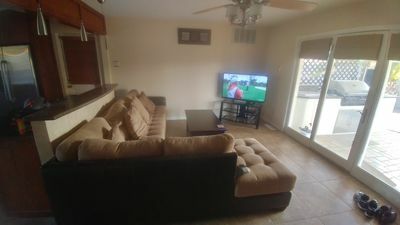 5 Mins to Old Town- Stella West- Hot Tub & Heated Pool, Putting Green, Foosball! 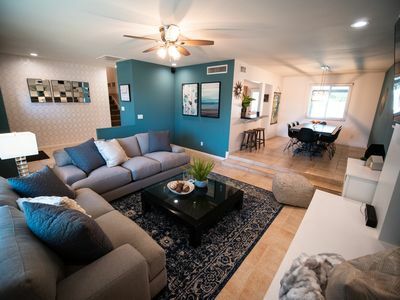 $30,000 Remodel = Gorgeous and Comfortable! 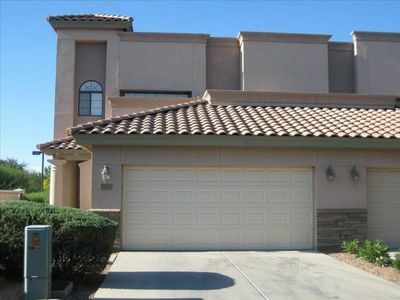 Preferred Choice - Golf Course Home w Mountain & City Views! 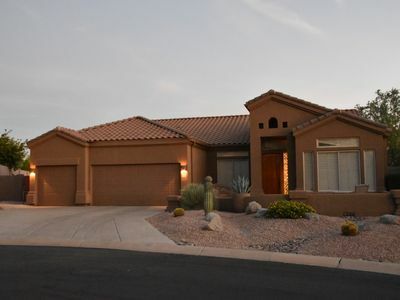 Amazing 4 bed, 2.5 bath property in Mesa! 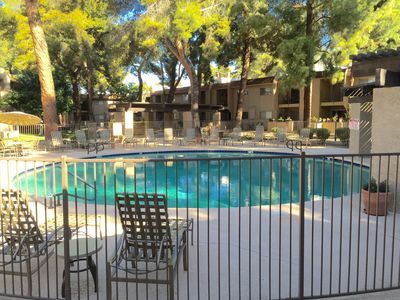 Scottsdale Resort Condo- 3 Miles to Talking Stick! 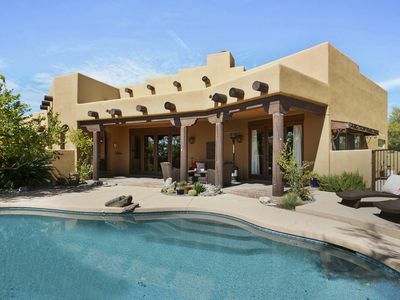 Gorgeous 3 Bdrm, 2 Bath On 18th Hole Talon Course at Grayhawk. Fantastic Views!